Our BOT titles that are August’s LibraryReads picks share stories of diverse women. From a dystopian world in which women are limited in their speech to a young Chinese immigrant facing difficult choices, this month provides complex, strong, and enthralling characters. 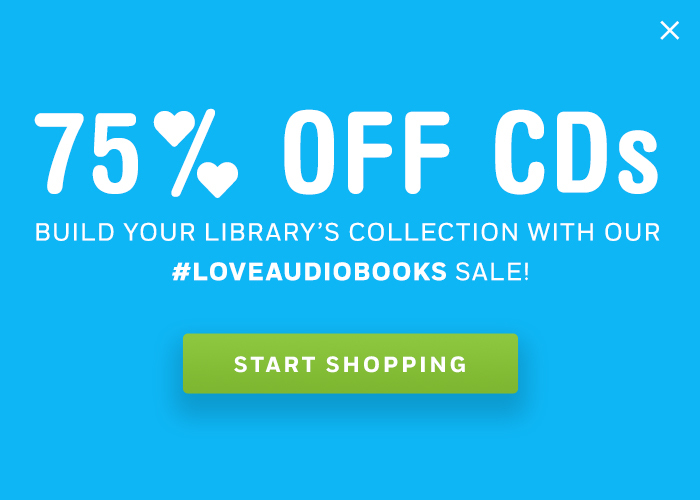 Make sure to have the audios on hand so your patrons can enjoy these titles right away! 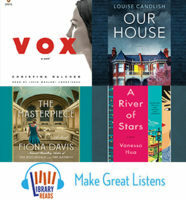 View the full list of August LibraryReads picks and check out our LibraryReads Make Great Listens collection to see all of our BOT LibraryReads picks since the program began. Now, see why our August BOT LibraryReads picks are must-listens. Why try the audio? Considering the premise of Vox is that women are limited to speaking 100 words a day and that Julia Whelan is a woman, the listening experience adds another complex layer to think about! Additionally, Julia, an experienced actress, is an award-winning narrator. Her narration pulses with propulsive emotion that immediately hooks listeners. Why try the audio? British actors Elliot Hill & Elizabeth Knowelden have partnered up before as narrators of a domestic suspense novel so they’re familiar with the tension and tone needed to perform such a genre. Listening to the twists and turns of this story will keep you on the edge of your seat! Why try the audio? Award-winning narrator Cassandra Campbell is a treat to listen to. Hearing both women come to life in Campbell’s assured voice enriches this captivating work of historical fiction. Why try the audio? Listeners will be able to deeply identify with the struggles and journey of the main character, Scarlett Chen, thanks to the expert narration of Jennifer Lim. See all ten of August’s LibraryReads 2018 picks on the LibraryReads site.